Apple's iPod is a portable multimedia device that is meant for playing and storing of MP3 and AAC format supported audio files. The application iTunes is used to manage the contents of the iPod but it can have compatibility issues with the OS of a given computer system and hence alternatives to iTunes are very much in demand. One of the best alternative ways of managing the iPod without iTunes is installing the software Amarok. A media device plug-in is required to use the application. Copy Trans Manager is another free and viable option. SharePod and eph Pod, and a lot more freeware programs are available to allow the iPod and the computer to interact. 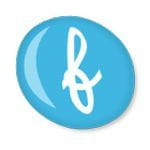 For Linux users, the gtkpod program is useful. An iPod is a well known multimedia portable device for storing and playing audio files encoded by MP3 (compressed audio specific format) and compressed AAC (Advanced Audio Coding). iTunes is the standard music application developed by Apple used for managing your iPod, importing music, transferring of photos, videos and more. iTunes allows you to synchronize and transfer available songs and videos from your computer to your iPod and organize them into playlists. However, due to its complexity and restraints in certain areas (such as compatibility limitation with Linux OS and the fact that Apple still uses their own standards for building Windows specific software) there are several alternatives available to manage your iPod without Apple's iTunes. Below you will find a detailed list of iTunes Alternatives to add and remove music, videos, playlists and artwork on your iPod. The following charts may help you decide which application best suits your needs and Apple device. Important: Amarok is only able to read/write to jailbroken iPod Touch & iPhones, as noted on the https://amarok.kde.org/ Amarok wiki]. Double-click on Yast and go to Software Manager. Type Amarok in the search box. If Amarok is already installed, the little box will be checked. Nonetheless, you should check to see that you have the latest version installed. Click Next to download (install/update). You will find the downloads for Linux, BSD, Mac and Windows on the https://community.kde.org/Amarok/GettingStarted/Download or you can use the links given on CCM. To use it with your iPod you will need to download the Media Device plug-in for all Apple iPod models, iPhone and iTunes phones. Unfortunately there is no stable version for Windows users available. Once installed, start Amarok and connect your device to your computer. You can now create playlists, dynamic playlists, add lyrics, play music or access Last.fm. You can edit tags, add cover art and display information about artists from Wikipedia. You can also synchronize and transfer music from and to your iPod. CopyTrans Manager is another free and portable iTunes Alternative that, contrary to many others, keeps on being updated regularly. It supports all iPod models including iPod nano 5G, iPhone and iPod Touch and runs on XP, Vista and Windows 7. CopyTrans Manager allows you to add music & videos files to iPod and iPhone, edit ID3 Tags and cover artwork, create and edit playlists, play audio and video files with the integrated music player. It can be installed directly on your iPod making it portable. To install CopyTrans Manager on your iPod, simply extract the exe and ris files from the zip file to your iPod. No installation is required. Click on the exe file to launch the program. To install CopyTrans Manager on you PC, you have 2 possibilities. You can either use the Installer including other tools of CopyTrans or the above mentioned zip file. Once installed, run the software and connect your iPod or iPhone to your PC. Your device will be detected and its content loaded within seconds. Now you can add music, videos, podcasts, ringtones, films and many more to your iPod and iPhone, create playlists, remove tracks and edit ID3 Tags. CopyTrans Manager offers a TagEditor with Multi Tag Editing capabilities and the possibility to add and modify lyrics as well as cover art on your iPhone and iPod. To add music to your device you can drag & drop files from your desktop to it or use the icons at the top of the interface. Although it is quite easy to use the software, you can still find user guides and a FAQ on the developer's homepage. SharePod is music management freeware, specially designed and created to copy music to your iPod so that you can share your music collection with other computers without any installation. It is more flexible, quick and responsive. It was primarily designed to be small in size. With SharePod, you can create playlists compatible with Winamp to listen to your music directly from your iPod, without having to copy files on your hard disk previously. SharePod has made continuous improvements since its first version with the aim to enhance and adapt to users request. 1. After downloading the SharePod zip file, also available on CCM, extract the contents to your iPod drive or your PC. Your iPod should appear as a removable disk in your "My Computer" when connected. It might take a few minutes for your iPod to be detected. 2. Go to the Sharepod folder. Double click on Sharepod.exe. If the message "Failure to initialize" appears on your screen, you need to download the Microsoft.NET Framework 2.0 to run SharePod. Note that this Framework is installed by default under Vista & 7. Please be careful not to run SharePod and iTunes simultaneously as your iPod might get out of sync with both softwares. Ensure that your iPod is connected to your computer. Open iTunes if it doesn't open automatically. Select the iPod, click "Settings" and disable the option "Open iTunes when iPod is attached". Scroll down and uncheck the options. Select Enable disk use and click Apply. Select the desired files and click on Copy to PC on the top of the window. Drag selected files from your iPod into your Windows Explorer window. To copy a playlist to your computer, first click with the right mouse button on the selected playlist. Then choose "Copy to PC". This will automatically copy all music from the playlist to your computer. If you want to transfer all the music from your iPod to your computer, you simply have to right-click on the "Master Playlist" and select Copy to PC. To add music from your computer to your iPod, drag files and folders from the Windows Explorer to the "Master Playlist". You can also click the Copy to iPod button. SharePod supports MP3, M4a and M4v files. What's fantastic with SharePod is that it detects duplicated music files so you won't copy the same tracks twice. Note: Sharepod doesn't yet support iOS 4 devices entirely. You will find the possibility to create backups, but you can't add files on your iPod Touch or iPhone. ephPod is another freeware application that allows your computer and iPod to interact. ephPod is very famous for its capacity to download songs and playlists quickly. Furthermore, the extra features of downloading latest news, weather, e-books and movie listings to your iPod distinguish ephPod from other software and make it pleasant to use. Development of ephPod seems to be at a halt and it therefore lacks some useful features such as podcasts and videos. Note: ephPod will not work correctly with the newer iPods, iPod Touch and iPhones. Download from the ephPod page or Kioskea. When the installation is completed, run ephPod and complete the initial set up. Connect your iPod to your PC. ephPod will automatically detect your iPod. You can manage songs, directories and playlists with the buttons at the bottom of the window. You can also add your Outlook contacts to your iPod and update your iPod's firmware. I recommend that you save all changes before exiting the program. Floola is another freeware solution which will allow you to manage your iPod. It supports photos, artworks and podcasts and also allows conversion of audio or video (from YouTube or other sources) files so that you can read them on your iPod. The only disadvantage is that it doesn't work for iPhone and iPod touch. Note: Floola it is a platform independent application. Download Floola from http://www.floola.com/home/download/ or directly from Kioskea. Using the zip version, it's easy to install. After the download you just have to extract the files from the zip file to your Desktop and start the program by clicking on the exe file. To copy videos or songs to your PC you simply choose the tracks you want with CTRL+SHIFT+C and copy them to the PC. To add songs to your iPod you press CTRL+SHIFT+A and drag files to the window with the green arrow. Floola isn't always easy to use, as it bugs relatively often and the interface is not that intuitive. But, you will find guides and solutions for most issues on the foola homepage. Once you have figured out how it works, it's fine for Linux and Mac, although for Windows Users there are more sophisticated solutions available. Froddle Pod is another free iPod Manager that allows you to copy music and video files from and to your iPod. A very colorful and a little bit childish interface may not appeal to everyone, but nevertheless the software is relatively easy to use. Apart from the basic iPod manager functions, Froddle Pod offers some nice extras like ripping CDs and adjusting the volume of tracks. Froddle Pod supports most iPod models except iPhone, iPod Touch and iPod Shuffle. You can download of Froddle Pod from here. After loading the zip file, you will find an msi file to install Froddle Pod on your PC. Contrary to many other iPod Managers this one needs an installation to run. Nevertheless, the installation only takes about 30 seconds. You will then find a Shortcut on your desktop to launch the program. When Froddle Pod is started, connect your iPod to your PC. Now you've have the possibility to manage your media. You can rip from CD, play tracks, transfer music to the iPod or copy it back to your PC, create an iPod backup. The software doesn't need further explanation at it is easy to use. No online support is available yet. gtkpod is a platform independent GUI which allows you to upload songs and playlists to your iPod. This freeware helps you to efficiently manage your music and playlists under GNU/LINUX. gtkpod for Linux Users is compatible with all iPod models but not with the iPod Touch or iPhone. gtkpod has, despite being very powerful, some shortcomings such as its lack of built in player and no search in option. It cannot import music from an audio CD either. To install the latest version of gtkpod, go to the gtkpod homepage. To configure gtkpod, go to Edit > Preferences, Input/Output Tab. Now, you should fill the mount point field with a corresponding folder such as media. Then restart the program, which will automatically fill the gtkpod with all songs and playlists stored on your iPod. gtkpod lets you read your existing iTunesDB and import existing contents from your iPod. You can also add audio and video files to your iPod. For podcasts you'll need third party software like 'bashopper' or 'gpodder'. You can find and change cover art, edit ID3 tags and detect duplicates when adding songs. The latest versions of WinAmp contains a plug-in allowing basic iPod management. However, to have more features, such as managing podcasts or album artwork, the mliPod plug-in is necessary. This is a plug-in that integrates support for the iPod directly in the audio library of WinAmp. To manage your iPod you need two files, WinAmp itself and the above mentioned plug-in mliPod. 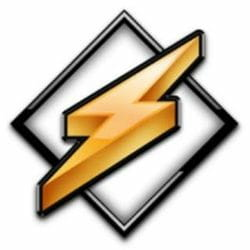 WinAmp has been designed as a very comprehensive Media Player, offering a free and basic version as well as a pro-version. Once you have installed it and your iPod is recognized, you will find many possibilities to customize WinAmp with the available skins. With WinAmp you can rip and burn CDs, create playlists, add music and video files and play them with the integrated player. YamiPod is another freeware application professionally designed to manage your iPod. Like SharePod, this software runs straight from your iPod circumventing the need to install it on your computer. YamiPod distinguishes itself from other software with its extra features such as its "Really Simple Syndication News" (RSS), podcast support as well as detection and removal of duplicate music files. It can also help you rebuild your music library. Yet with Linux, YamiPod is not really favoured because of its inability to add music to your iPod which renders it useless on that platform despite its smart looks. Extract the contents of the zip file to your iPod drive or to your PC. Click the .exe file to launch. After opening YamiPod connect your iPod to your PC. It may take some time to load the iPod's content. Once it appears you will find the basic features to manage your iPod without iTunes such as adding music to your iPod or copying it back to your PC. As mentioned above, you have some nice extra features like RSS and lyrics support. The interface has some similarities with iTunes and appears quite lean, although not always intuitive. It may take you some time to figure out all the features it offers. Unfortunately YamiPod doesn't support the iPod Touch or iPhone. Published by unclebyron. Latest update on March 20, 2018 at 04:36 AM by Jean-François Pillou. This document, titled "Managing iPod/iPhone Without iTunes," is available under the Creative Commons license. Any copy, reuse, or modification of the content should be sufficiently credited to CCM (https://ccm.net/). How to download and watch videos on your iPod?